Here is part of an email exchange I received today from my friend and former university colleague Dr. Breea Willingham, who now teaches at the State University of New York at Plattsburgh. 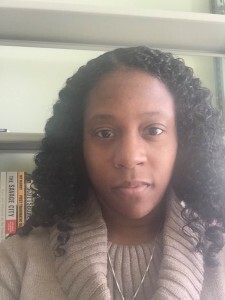 Her research has focused on topics like American studies, criminal justice, urban crime, mass incarceration, prisons, criminal law and crime, among other topics. Dr. Willingham is a faculty member in Plattsburgh's Department of Criminal Justice. What happened in Ferguson is state-sanctioned murder and it isn’t new – unfortunately – for Black men’s interaction with white police. From 2006 to 2012, a white police officer killed a Black person at least twice a week in this country. The Black body has always been regarded as something to fear, something that is less than or something to get rid of. So, when you ask “is the justice system failing us,” I wonder which “us” are you referring to because the us I belong to—the Black “us”—are being incarcerated at faster rates than another race and executed by police more than any other race. Within one month alone over the summer, four Black men were killed by police. Ferguson has only thrown a spotlight on police brutality and state-sanctioned murder committed against Black people. Ferguson is not, nor can it be reduced to, “just a metaphor for racial tensions.” To suggest this is disrespectful to the INjustices that are being perpetrated against African Americans. This is also not simply a case of victim blaming. It’s fearing the victim, demonizing the victim for no good reason other than the systemic racism that stains our American culture. This racist, deep-seated fear of Black people is simply a perpetuation of the white supremacist patriarchy that our country was founded on. I see so many memes on Facebook that read something like, "Don't want to be shot by police? Don't break the law." I can't even deal with that mindset. Sometimes I can explain it to women by asking them if they've ever been harassed walking down the street minding their own business - and sometimes they get that. What a great way to help people better understand the concept of being harassed, threatened or victimized just because of who they are.